A Palestinian man was killed, Thursday, after being rammed by a speeding Israeli colony’s bus, near Bethlehem, in the occupied West Bank, before the soldiers took his body, and returned it to his family five hours later. The family, from Ertas village, south of Bethlehem, said that the bus driver deliberately rammed their son, Rami Issa Khalil Ismael, 38, on Road #60, near the al-Khader town, also south of Bethlehem. The man was mainly struck in the head, causing many fractures, including to his skull, and splattering his brain onto the road. 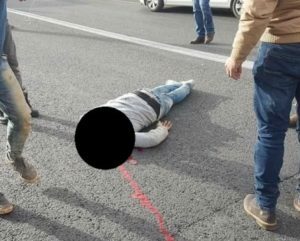 An Eyewitness said that he, and other Palestinians, including Rami, were crossing the road when the settlement bus was still at a distance, but then the driver sped towards them, ramming Rami, and killing him. “We were crossing the road, but when the bus driver saw us, he just sped towards us, and struck Rami, instantly killing him. 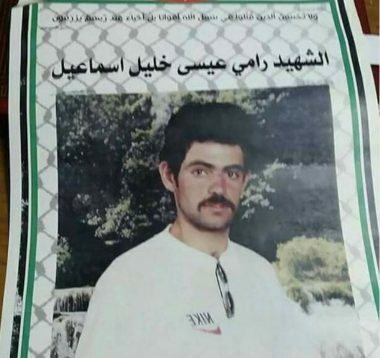 His family said that the soldiers took his corpse, and returned it to them five hours later, before it was moved to Beit Jala governmental hospital. Rami, a married father of one child, will be buried, Friday, in Ertas village. He is just the latest of a number of Palestinians killed on this road by Israeli settler vehicles, while going from their community to their farmlands, or heading back home. The Israeli drivers frequently speed up when they see Palestinians on or near the road, often aiming towards them to try to run them down. Israel is also trying to confiscate the Palestinian lands, to expand its colonies in the area.